In 1893 an Indian Village challenged their British rulers to a cricket match. If they won, they would be spared the Lagaan, an onerous tax. If they lost, the tax would be doubled so the fictional story goes. Ten years later and in reality, seventeen former pupils of a now defunct Preparatory School met at Peterborough Lodge 143 Finchley Road London on Saturday November 14th 9.15pm and formed a cricket club. A century later that club Nomads CC visited India to celebrate its centenary. Thus fact and fiction, history and legend were combined and this cricket match was played in Delhi with much pomp and ceremony. Nomads Cricket Club v Doordashan XI, 30 overs each innings. Second Tour Match December 30th 2002 at the J Nehru Stadium Ground Delhi between Nomads CC and Doordashan XI, 30 overs each innings. Match Broadcast on Doordashan TV live with English and Hindi commentary across 35 countries to an estimated viewing population of 85 million and shown in 'highlights format the same evening over three hours with in depth interviews with Ben Nealon who acted Lt Smith in the Oscar nominated film Lagaan and Keith Alexander who had played soccer for India and whose father had played in the famous Bombay Pentagulars in the early 1940s. Before the game began The India Minister for Sport and Culture was introduced to the two teams and then made an address at the conclusion of which she said "May the best team win"
Club President interviewed by Doordashan Nomads club President David Alexander was interviewed by Doordashan TV. He commented on the match but also expanded on his affection for the game of cricket and for the wonderful country of India which he had visited so many times since he was posted to the Bengal Sappers & Miners in 1944 of which he has written a history. Scorers: M S Rawaj and B Wilson. Bowling:Reader 5 0 30 0,Stokes 3 0 20 0,Ireland 6 0 31 3,Surridge 6 1 29 3, Nealon 4 0 28 1, Fellow-Smith 4.3 0 18 3. Bowling:Gurbachan 6 1 19 1,Sunil Bansal 2 0 14 0,VR Hari 3.5 0 22 0,Sushil Bansal 6 0 42 1,Satender 5 0 23 2,Parveen 6 0 26 3,BP Raju 1 0 8 0. M ark Surridge won the toss and invited Doordashan to bat. There were over 2000 spectators as well as TV cameras so quite a change from a regular Sunday or midweek match in UK. Inspired by the occasion Nomads performed with credit apart from a couple of hiccups behind the stumps and in the slips. Doordashan began with a flourish and were well set for a big score.Then they collapsed in the middle order. As a result Doordashan XI had posted a modest total by the time they were bowled out with 9 balls to go. Surridge, Fellow-Smith and Ireland each took three wickets and after a hesitant start Wycherley held on to four good catches behind the wicket. Despite enjoying a huge lunch and with a seriously partisan crowd Nomads maintained the required rate and finally won with a ball to go with some wickets in hand. Keith Alexander hit 59 runs off 68 balls and Robert Wycherley 41 off 33 balls including four 6s. Like Doordashan Nomads were well placed to win at a canter but then self doubt crept in and a flurry of wickets fell. However Ben Nealon already a major favourite with the crowd, just below God like status, remained steady and saw the club home to a momentous victory. The match proved to be a great entertainment for the spectators and TV audience. A stupendous occasion as befits a club's Centenary Tour. 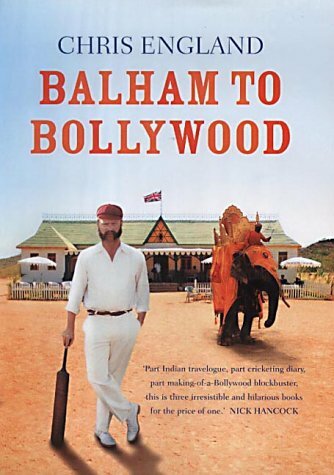 Although there were banners around the ground wishing Nomads well on their Centenary tour Doordashan had billed Nomads as a Lagaan XI and had expected 5 or 6 of the cast not just Ben. This was their fault not Nomads as a volume of email and letters had gone to a great length to request Doordashan to sponsor Chris England and others with their flights. This did not take place as the two Doordashan executives who had confirmed the match then went on holiday for two weeks! So the relentless efforts of Sandeep Singh Nakai, Vikram Kaul and Kirti Azad to make contact and sort this aspect out was to no avail. 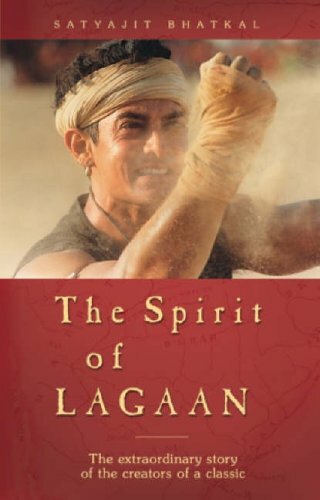 While the match progressed Charlton Lamb and Steve Marians pursued their singular quest to secure sponsorship for the flights of the Lagaan cricketers and, in particular, a film to be directed and produced by Steve Marians. This took them to many discussions at the ground and elsewhere in Delhi when they should have been playing against a Delhi Blues XI for Nomads 2nd XI. However of much greater note was Charlton's contribution to the TV commentary. In the first over a Doordoshan opener edged a ball between wicket keeper and first slip bringing forward the immortal Charlton phrase"FFFooooooooooooooooooooooooke me!" This reverberated across 35 countries and was repeated at the start of three hours edited highlights shown the same evening.